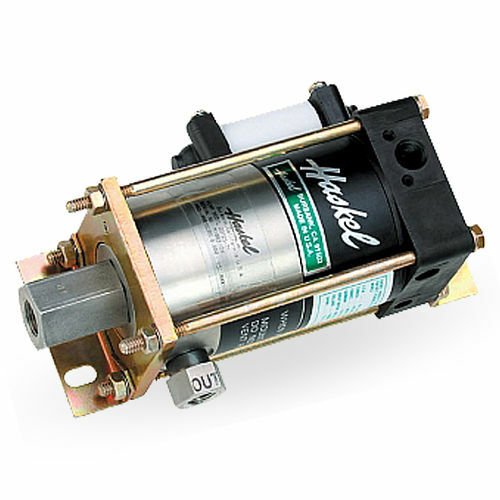 The M series developed by Haskel, is an air driven pump powered with a 0.33 hp. This device offers a flow of 2 gpm or 7.5 l/min and a drive pressure range of 25 to 125 psi. In addition, it makes use of all hydraulic fluids such as water, solvents, mild chemicals and liquefied gases.